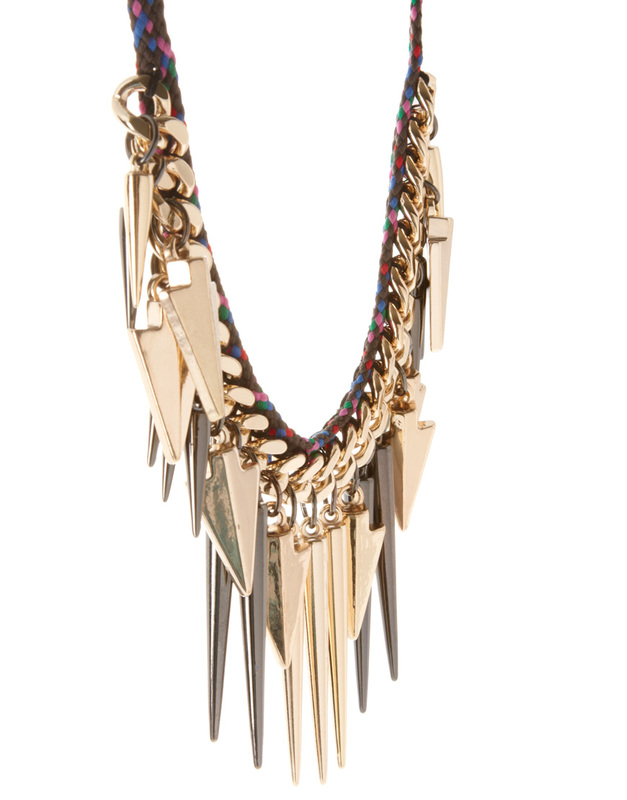 We check over 450 stores daily and we last saw this product for $46 at ASOS. 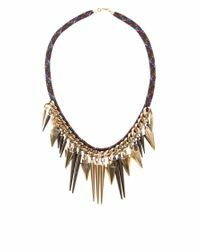 Statement necklace by ASOS Collection. 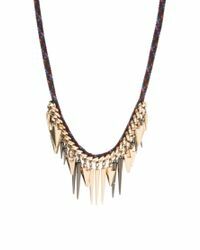 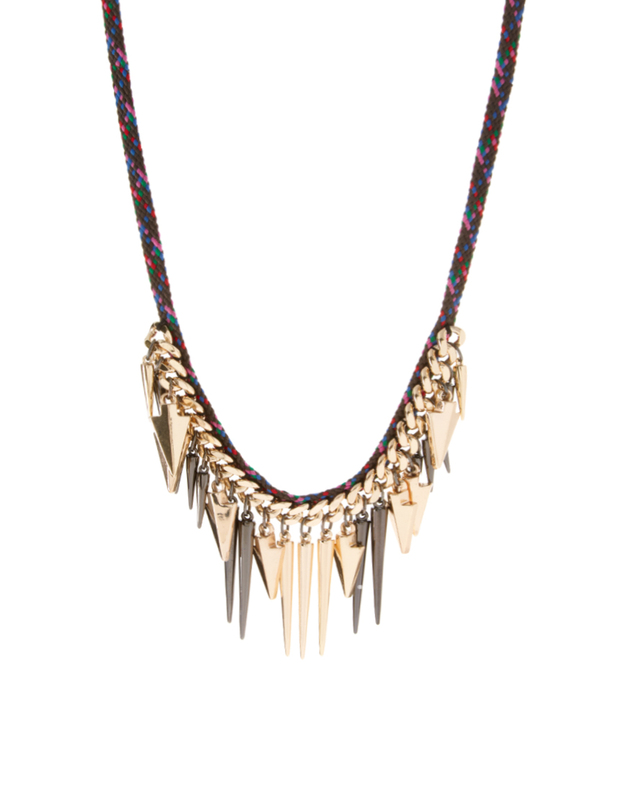 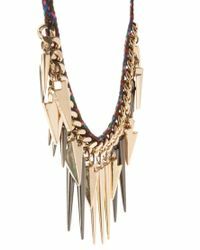 Featuring a multi-coloured woven necklace with a chunky curb chain detail, arrow and spike drops and a lobster clasp fastening to the reverse, in a gold-tone finish. 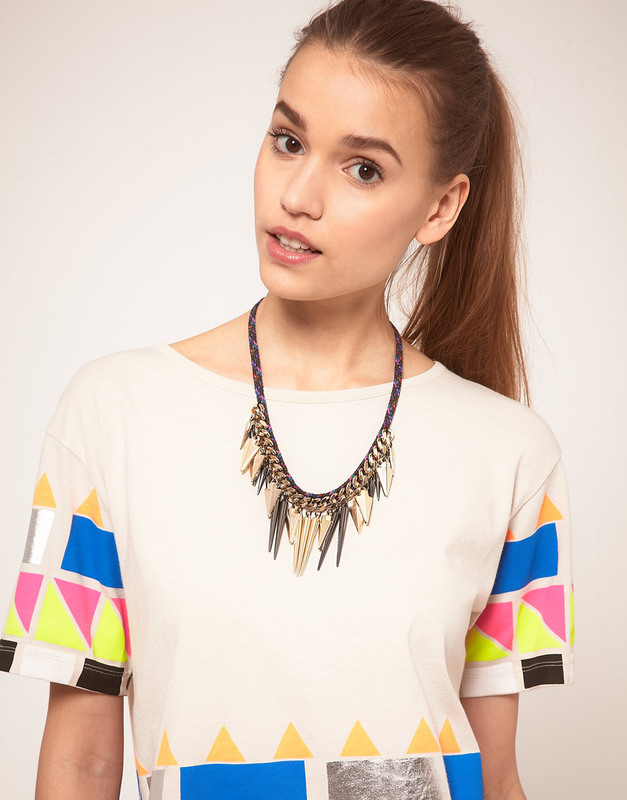 ABOUT ASOS COLLECTIONDirectional, exciting and diverse the ASOS Collection makes and breaks the fashion rules. Scouring the globe for inspiration, our London based Design Team is inspired by fashion’s most covetable trends; providing you with a cutting edge wardrobe season upon season.